Giving emphasis why an algorithm/decision was taken to tackle an issue. Oh hi there! I’m your simple, two-colored view. Storing a piece of code by commenting it out. To make this code better (read: clean it up), we need to remove all the comments (except the section-separator ones, for the sake of this post 😁). Yep, the commented-out code is included, since we can easily revert it back using version control software such as Git. After removing all those comments, we need to use meaningful names for our variables. When this class’ view loaded to memory, it will call the superclass method first. Then it will create a top view with same width and 100 points high, at (0,64). It will set the new view’s background color as red. 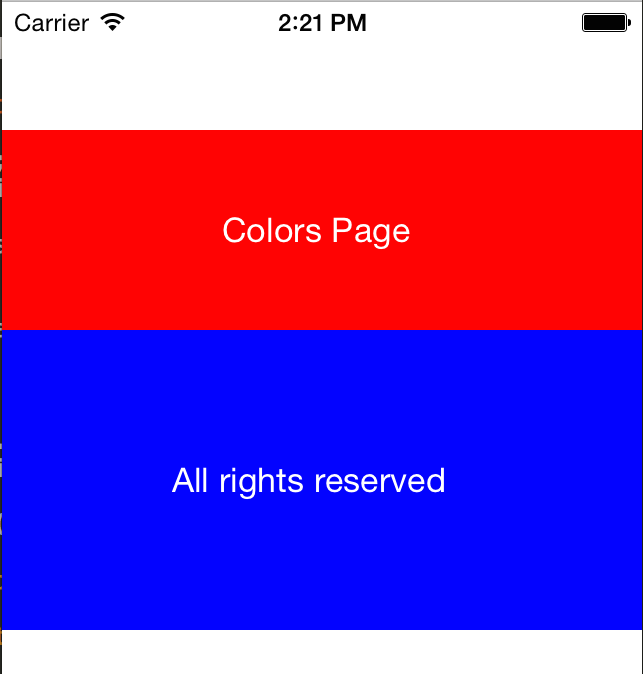 Then, it will create a title label with 50 points wide and 100 points high, at … etc. … Then it will create a top view same width and 100 points high, … and finally, it will check if current data is stale. If it is, it retrieves data from server. When this class’ view loaded to memory, it will call the superclass’ method first. Then it will configure view-related properties, then add top and bottom views. Finally, it will validate any stale data. Oh no, the copyright label’s gone! Oh its OK, it’s below the red view… WAIT THATS NOT OK! More than that (polyadic) requires very special justification. This principle matters because it assures that a function do only one thing, without any side effects. The “copyright label not found” issue point #4 happened because the ‘addTopView’ method does more than one thing – it adds top view and increases the yOffset property. In a way, it deceives those who use it since it does more than what stated in the method name. There’s a conjunction word (e.g. and, or, but) when we explained what’s the class for. For each conjunction, it got one more responsibility. The class have too many methods and variables / properties. Having too much of those two could be a smell of too many responsibilities. The number of other class that imported. Unless its a Factory / Builder / Provider class, a long import line could be a smell of too many responsibilities, too. This rule was present because people not always write clean code. As for me, finishing the Clean Code book doesn’t mean I always write one. I always strive to do so, though. Another reason why this principle is important is to prevent “broken windows”. Thanks to entropy (if you agree with physics), we tend to make the code worse if we left it unclean. In my junior years, I tend to put a lot of logic code in UIViewController subclasses since others also did it 😅 When we clean up our code frequently, we set a good path to keep it clean for those who will maintain the code after us.